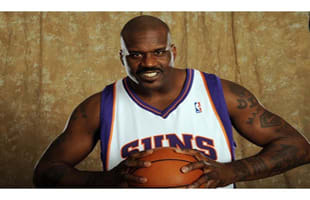 Shaq is a former American professional basketball player. Standing 7 ft 1 in tall and weighing 325 pounds, he was one of the heaviest players ever to play in the NBA. Shaq is also well known for his humor and comic behavior, he is one of the funniest dudes to ever come through the league.